Receive your cards in 5 business days or less! All our cards are backed by the Tank Prints guarantee! If you are not 100% satisfied with your cards, we will reprint your order free of charge or refund your money within 14 days of purchase. 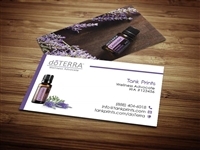 No other print company will match our guarantee.